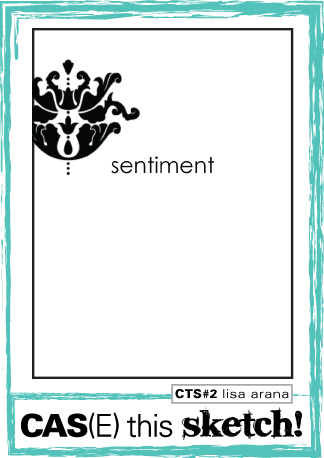 Today's card combines the CAS-ual Fridays Challenge with a sketch from CASE this Sketch. Adorable...I love the sweet little penguin. Great use of both challenges! Thanks so much for playing with us at CAS-ual Fridays Maureen! And woohoo on being about 1/2 way done! Maureen your design is fabulous, love all of the elements you used. Such a sweet little penguin! Wonderful Christmas card. So glad you played along in this week's CAS(E) this Sketch! Thud! Gorgeous CAS card! Love how you framed the darling little penguin! Thanks for playing along with us at CAS-ual Fridays this week! Can you come do my Christmas cards? I haven't even started. 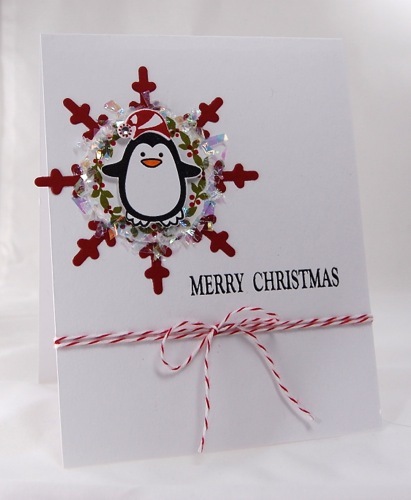 I love how you used the penguin in the snowflake! It's super cute! Thanks for joining us at CAS(E) this Sketch. Maureen - I love everything about this cute card! The penguin is adorable, and I love the snowflake going over the edge. Thank you so much for playing along with us at CAS-ual Fridays!